We have a great day planned for you! 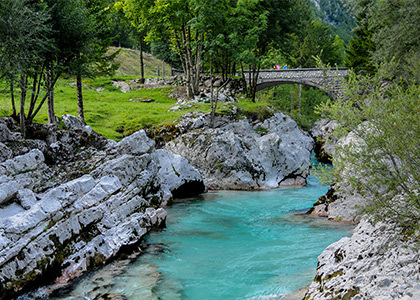 You will experience the beauty of Julian Alps just in one day. 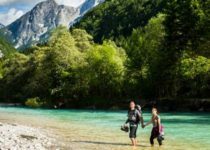 Explore 3 unique outdoor area: Bled, Bohinj and Bovec – which are a paradise for all nature lovers. 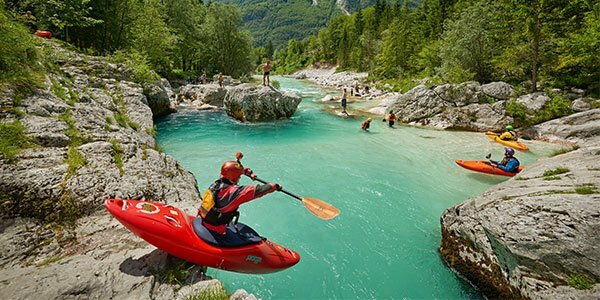 Swim in fresh clear water, experience the unique car-train trough tunnel and finally try white-water rafting on emerald Soča river. 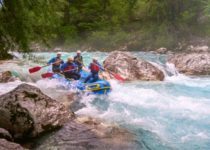 TRANSFER, LOCAL GUIDE, RAFTING & LUNCH INCLUDED! 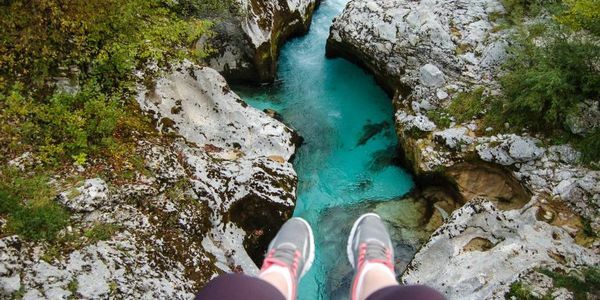 – 3 lakes, 1 river and unforgettable experience in just one day! SMALL GROUPS – Up to 5 guests! 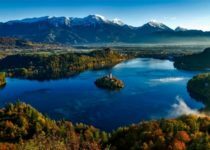 Bled represents one of the most beautiful alpine resorts, complete with an amazing lake, which you must not miss if you are visiting Slovenia. 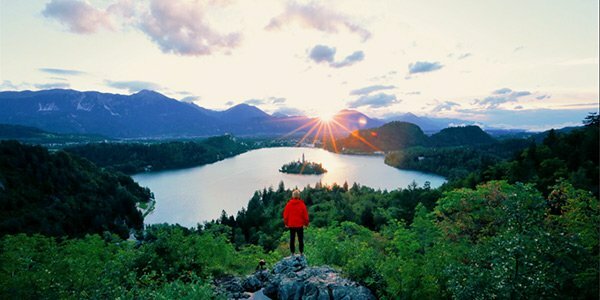 Bled’s lake is characteristic of Slovenia’s beauty. In summer it is ideal for swimming and all other water activities. 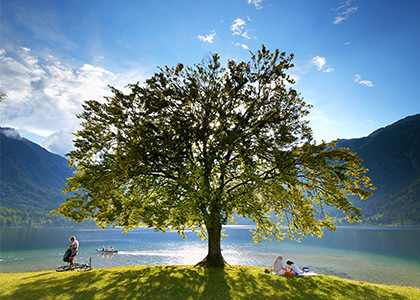 → Swim in Bohinj Lake’s crystal clear water and experience the auto-train. It’s a train carrying automobiles, where you can put a car on a train wagon and relax to enjoy the ride. Make sure you don’t forget a camera and a snack to enjoy the cheesy-movie-like views. 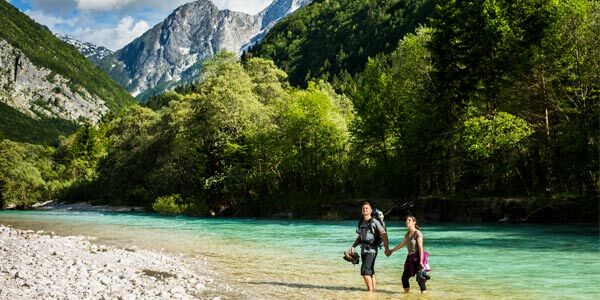 Welcome to Soča valley – Slovenian outdoor activity epicenter! Fist we will stop in Most na Soči, a little town with a lovely tranquil atmosphere, where we will have lunch. 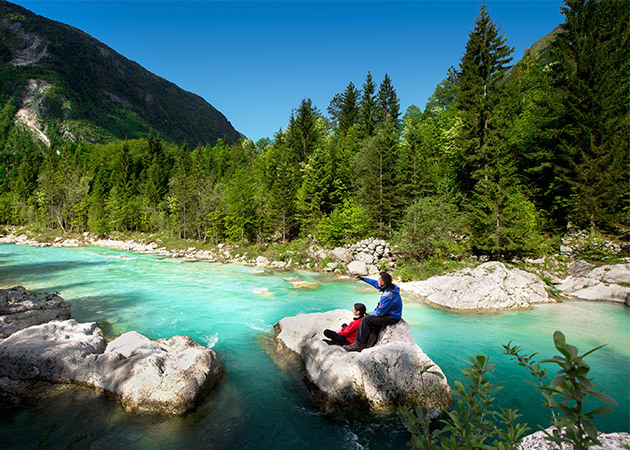 After lunch our adventure continue on emerald Soča river. 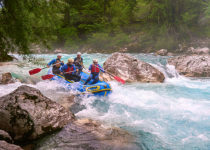 → Enjoy Soča River and experience crazy water adventure. 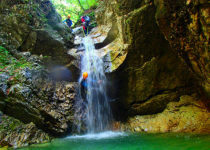 If you want you can decide for adrenaline afternoon – you can choose between white water rafting, canyoning, hydrospeed or zipline. 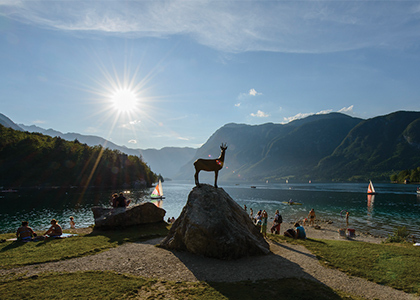 After all the released adrenaline it’s time to relax and enjoy the sunset with a cold drink at the big unspoiled »Lago del Predil« lake surrounded with trees. This is on the way back to Ljubljana, going over the Predel mountain pass. Some fantastic views guranteed there if you don’t fall asleep in the car due to fresh air overdose. 8:00 am Departure form Ljubljana or. from your Hotel! *It takes min 4 people to do the tour! If you wish to do the tour with min. 2 people, please send as inquiry. 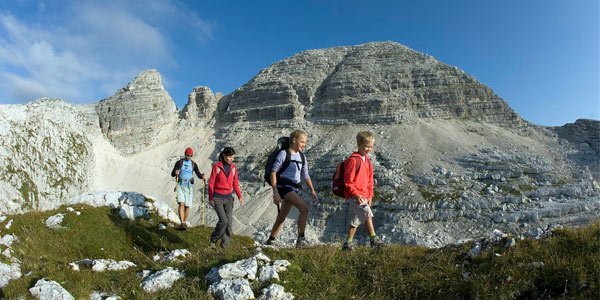 Adventure is suitable for everyone: for all generations, families with children and groups.